Last Thursday was Open House, and I want to give a super big thank you to Ellie L., Sonia B., Ian B., and Sydney W. for coming and playing quartets. It was such a nice way to showcase what we do! The Orchestra celebrated Spring last Friday with a Spring breakfast. We took a bit of time off from preparing for the Concerto Concert and had a yummy breakfast with an egg hunt. Lots of fun! The school musical, Mamma Mia!, begins this week and we are looking forward to seeing it! The music sounds great, and even though there are no violins, violas, cellos, or string basses in it, we still can’t wait to see and hear it! See you there! Congratulations to Sonia B., Ellie L., Alexis S., Lisa T., Trinity C., Jared C., and Jasmine G. on a beautiful string quartet concert yesterday. Congratulations and thank you to their wonderful coach, Emily Gregg, for guiding and teaching them! This is such a wonderful way to experience some of the most beautiful music ever written. Any string player in the orchestra can be a part of this chamber music program and I want to encourage everyone to sign up next year! On NPR this week, I heard about a world-wide tour that Yo-Yo Ma is undertaking. In each city he is playing a concert of all six Bach Solo Cello Suites. Recently, he played in Mexico. In between the fourth and fifth suite, he spoke to the audience and dedicated the performance of the fifth suite to the “disappeared” people in Mexico. An audience member, who was a musician, spoke about how meaningful this was to him and everyone. He said that, as a musician, he tries to play his best, but Yo-Yo Ma’s dedication brought the performance to another very deep level. As musicians, we strive to become better and better at our instrument. We all have the ability to do well, we also have the ability to make meaningful connections through our music. Have a wonderful week. Congratulations, Orchestra, on a wonderful weekend in San Diego! At every juncture of the weekend you performed and behaved like ladies and gentlemen, and I am incredibly proud of you! A million trillion thanks to Yvonne Lim, chaperone extraordinaire! All I can say is thank you to students, parents, and my colleagues. You all are the best! Friday was a great day! I am super proud of all of the instrumental music students; from playing great to being poised hosts and hostesses for the guest schools, they were amazing! Thank you to the parents who donated food and manned the snack bar! This week the orchestra will be working as two groups. The students going to the festival in San Diego will continue to play the festival pieces and the others will start working on Concerto Concert music. Next week we will be all together again. Summer music camps are a great way to continue learning music, getting better on your instrument, and have fun and make life-long memories! Please email me if you have any questions. 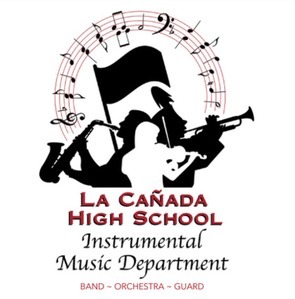 Come and hear our Festival Concert, Wednesday, March 13th at 7pm in the school auditorium and experience your students performing great music with excellence and joy. You will have a wonderful evening, and your children will be so proud that you came to listen to them! This is the time of year that we get down to “brass tacks,” as the saying goes. Coming off amazing performances at the Dinner Show, we are “wood shedding” our music to be performed at the Festival Concert on March 13th and at our all-day Festival on March 15th. I warned the students that I was going to be “picky,” and they are being wonderfully cooperative. This bodes very well for more great performances at these upcoming concerts. For those orchestra students going to San Diego, we will be performing the same festival pieces that we will have played the prior week. Our schedule has yet to be finalized, but I can tell you that we will leave, by charter bus, after school on Thursday, March 21st. We will stop on the way at the Irvine Spectrum where the students can get dinner, then continue on to San Diego, arriving at approximately 9pm. Friday, there will be two performances and we will cap off the day with a dinner cruise around San Diego. Saturday is a day for fun at Sea World with a dinner and awards celebration in the evening, returning home the next day, Sunday. If you have specific questions, please email me. I hope all of you have a great week, full of accomplishments! Some members of our orchestra got some exciting news this weekend. Lisa T., Alexis S., Trinity C., and Jared C. have qualified for the semi-finals of the Pasadena Conservatory of Music Chamber Music Competition! This is a national competition for high school students. They sound fabulous and we wish them all the best! What a great night of music at the Dinner Show! Thank you to each person involved with the show… So much love and care going into this special evening to benefit our students. And weren’t they something else! These kids are inspiring and I am so happy to get to work with them. The Dinner Show on Saturday is going to be an amazing event! The musical groups sound great and there are lots of great items and events to bid on. You won’t want to miss this super fun and worthwhile evening!